This vintage leather purse was made in Mexico. It's in a charcoal gray-blue color. The inset panels (front and back) are in a lighter gray-blue suede. 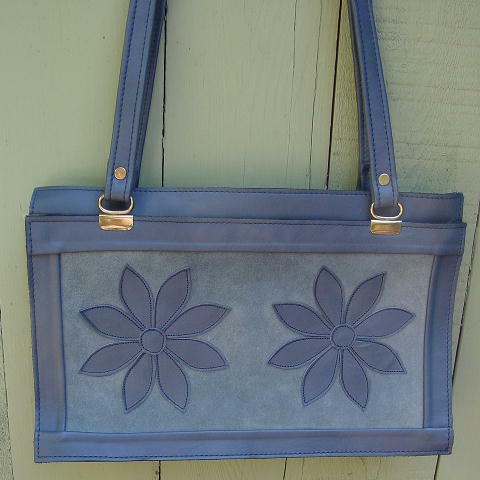 The two leather flowers on each side have been sewn onto the suede. 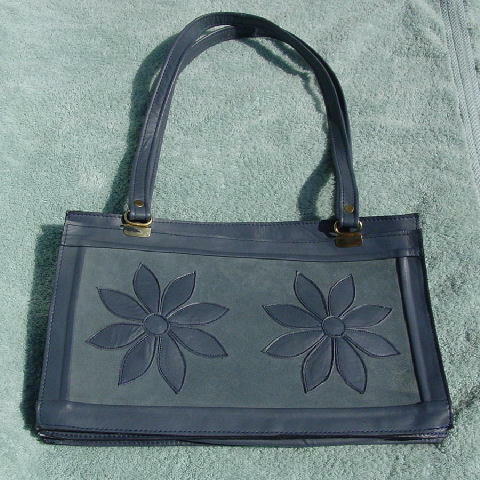 It has a baby blue interior with three side to side zipper sections. The center section is 3/4" higher than the other sections. 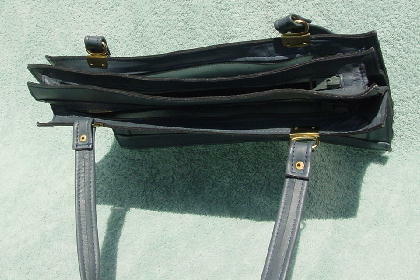 The two 27 1/2" long straps (12" from top of strap to top of purse) are attached to the purse by gold-tone loops and bases. One of the bases (left side) has some of the gold-tone finish missing. It was used as wardrobe in a movie.